Paul McGee oversees the Family Department and has oversight across a broad range of family matters. He has a particular interest in matters of contact, divorce and private law disputes. Paul has also forged an unbridled reputation in matters of domestic violence and has the skill and experience to obtain excellent results for clients. Alongside Family Law, Paul specialises in Criminal Law. He is a qualified Duty Solicitor representing clients at both Police Stations nationwide and Magistrates Courts. He is also a member of Criminal Litigation Accreditation Scheme. He has wide-ranging knowledge and experience in all areas of Criminal Law and has represented clients in high profile cases including murder, fraud and sexual offences. He has a keen interest in matters of Food Hygiene Law. Paul won the prestigious IFST Trust Fund, Institute of Food Science and Technology Prize in his first undergraduate degree. This gives him a unique knowledge and understanding of all matters of food safety and hygiene offences and Paul has a keen interest in this area. Paul prides himself on representing clients to achieve the best possible outcomes. He endeavours to make himself available for clients no matter what the allegation is and he welcomes clients contacting him to discuss any matters. Paul will always try to make himself available for an appointment especially if your case is urgent. MMA Law Ltd is always available and a Director is always on call 24 hours a day so you can be rest assured that your case will be taken care of. 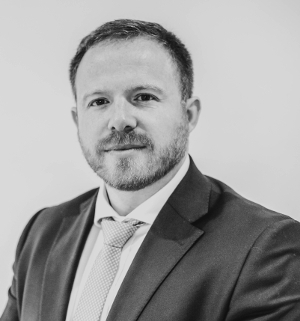 Paul welcomes clients calling the office for any initial advice regarding family or criminal matters and is always willing to help whatever the circumstances. Should you not be able to contact Paul just leave your name and number and he will make arrangements to call you back at a convenient time.